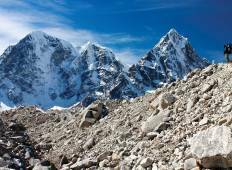 Discover Hiking & Trekking Tours in Mount Kala Patthar in October 2019, visiting places like Lukla and Kathmandu. Book now and save with TourRadar.com! "An amazing experience! Humbled by the size of the mountains. Our guide and porters..."
"In 2003 my husband and I trekked with Hari for the first time – Around Annapurna...."
"What a wonderful EBC experience! 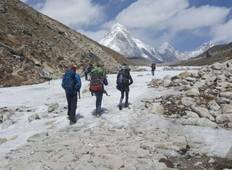 It is very hard to only think about EBC Trekking..."
"Having now been to Everest Base Camp and seen how some of the other tour operators..."
"We booked with Nepal Trekking Routes Treks & Expeditions for the Everest base camp..."
"My experience with Gyanu and his team was northing short of spectacular. My fiancé..."
"Best company with experienced staff." "It was a fantastic trip, will come back here to do more"
"I did two trekking with Peregrine Treks in past two years. The first one is Everest..."